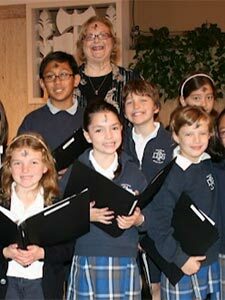 The parish children's choir is open to any children in the parish, grades 2-8. The choir rehearses on Wednesday afternoons, from 2:30-3:30 p.m. in the Fine Arts Room of the school. The choir participates in the family Masses once a month. * For more information please contact the Parish Center (818- 784-0105).